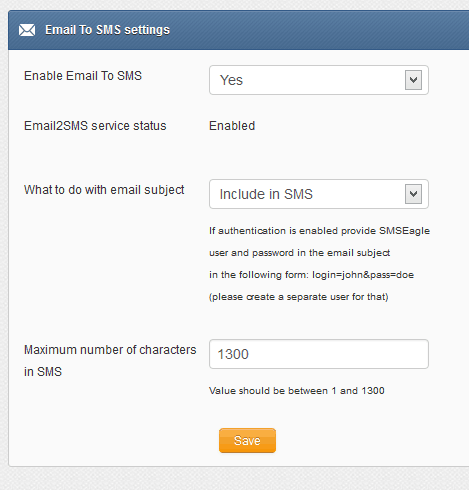 Here we describe how to setup Microsoft Exchange server for SMS sending using SMSEagle. It should take you about 5 min to have it up and running. This tutorial is based on MS Exchange knowledgebase article. It uses Send Connector to forward traffic from MS Exchange to SMSEagle. The New SMTP Send Connector wizard starts. In the SMTP Address Space dialog box, specify the address to which you want to route the mail. To do this, enter the recipient’s domain name under Address space. to For example, enter SMSEAGLE_IP address (or smseagle.yourdomain.com if you use FQDN, see optional settings). If it’s applicable, click to select the Include all subdomains check box, click OK, and then click Next. In the Add smart host dialog box, enter the FQDN of the smart host that you want to use to route mail to the recipient’s domain. 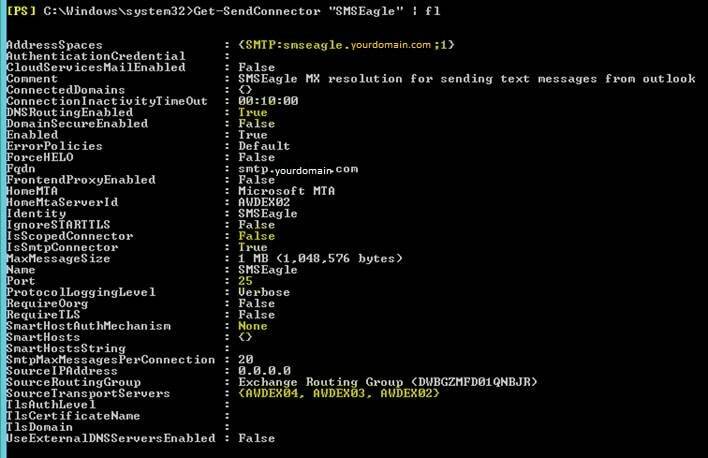 For example, to send connector to route mail to the smseagle.yourdomain.com, use the smart host for yourdomain.com. Exchange server has to be configured to allow the SMTP receive service to accept mail for the given domain name. 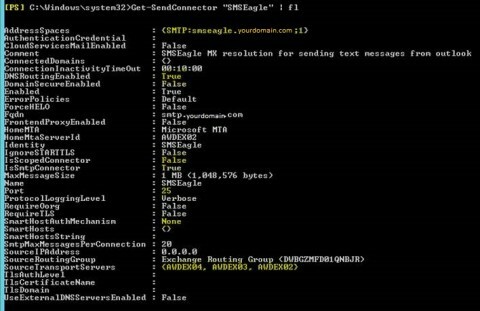 You have to add an ‘Accepted Domains’ record for the domain name ‘smseagle.yourdomain.com’ and specified the domain type as ‘External Relay’.